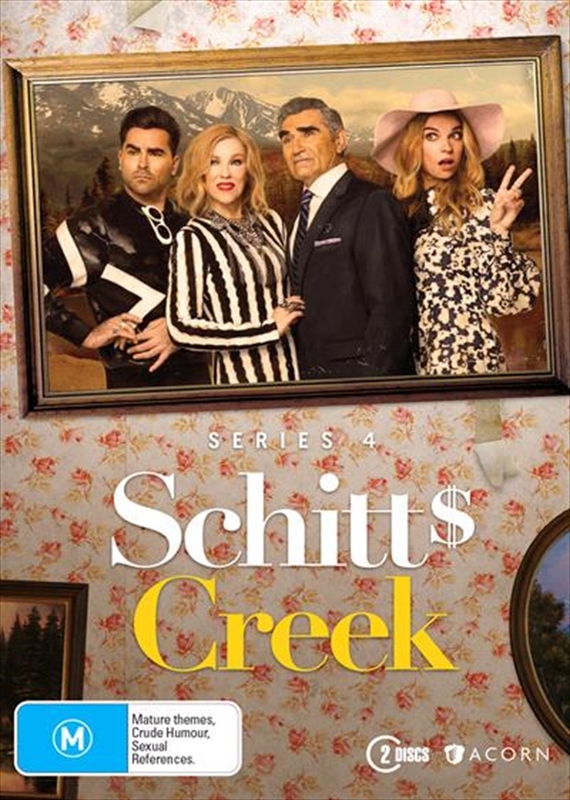 As season four begins, the Roses are making the most of life in Schitt's Creek, and Moira's constant talk of escaping aside are finally starting to feel at home in the town. Johnny is busy running the motel with Stevie as his partner. Business is booming, but its a challenge for him to balance work and family, while dealing with Roland's antics. Moira is carrying out her duties with Town Council and the Jazzagal's and is also looking for new ways to utilize her talents, whether its through a theatrical performance, or by helping Alexis navigate event planning. David is managing his store and attempting to maintain a brand-new relationship, but between struggling to find the time for romance, and overcoming the anxieties of his dating past, this is proving to be a challenge. Meanwhile, Alexis is putting all of her energy into school and her career but is finding it difficult to focus when she still has lingering feelings for her ex-fiance, Ted.